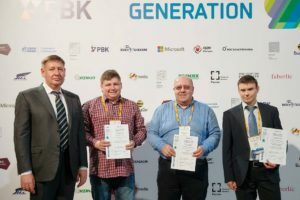 On April 27 the final of the Federal Accelerator of technological startups GenerationS was held in Moscow. This year for the first time the participants competed in the special nomination MARINET. • Distributed Fiber-Optic Hydroacoustic Sensor (St. Petersburg). The finalists’ projects will be presented at the MARINET Meeting on May 16 and will be supported in case the project is approved by the MARINET. Total in the MARINET nomination of Accelerator GenerationS participated 49 applications.